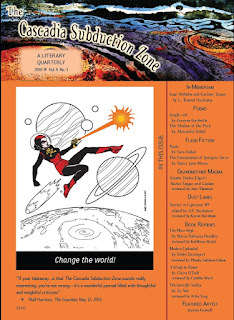 The summer issue of The Cascadia Subduction Zone is out. In it you will find flash fiction ("Roots" by Sara Codair and "The Canonization of Junipero Serra" by Nancy Jane Moore), poetry (by Gwynne Garfinkle and Alexandra Seidel), and a memorial to Kate Wilhelm and Gardner Dozois. 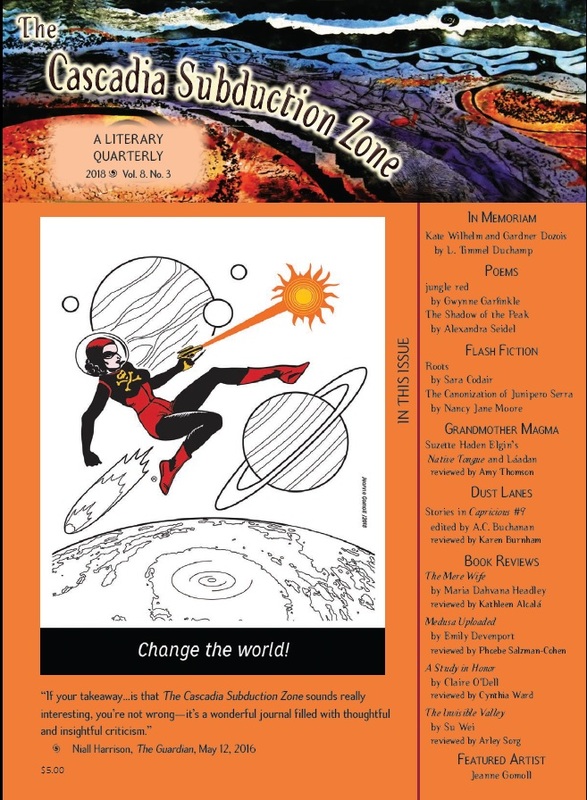 And of course it has reviews: Karen Burnham's column "Dust Lanes," Amy Thomson's appreciation of Suzette Haden Elgin's linguistic sf for our "Grandmother Magma" column, and reviews by Kathleen Alcalá and others of four new novels. Finally, the issue's featured artist is Jeanne Gomoll, who gives us a taste of her on-going "Space Babe" series.